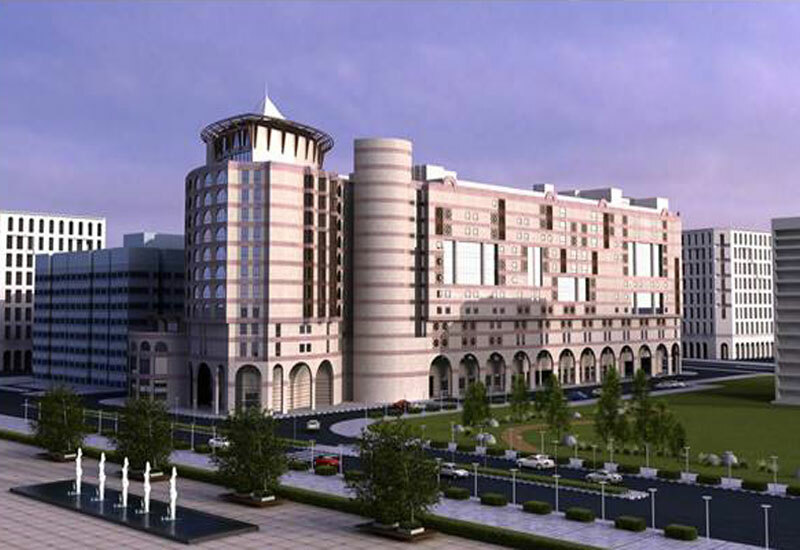 The Mövenpick Hotel & Residences Hajar Tower Makkah forms part of the prestigious Abraj Al Bait complex. 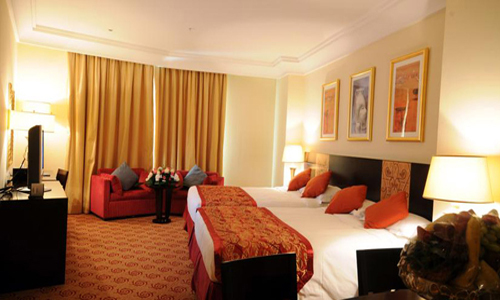 The hotel is located directly on the Haram Court, facing the King Abdul Aziz Gate. Enjoy our 5 versatile dining options: Al Nasim, the main dining restaurant and Al Diwan, the tea lounge, two buffet venues – Al Firdaous restaurant and Hajar restaurant, in addition to Al Naim tea lounge and restaurant. These versatile dining venues offer creative and extensive array of international and Swiss specialties. Are you one of millions of Muslims all over the world who are undertaking the journey of Umrah and Hajj? The Mövenpick Hotel & Residences Hajar Tower is a 5 star hotel offering excellently appointed hotel rooms and suites in the centre of Makkah. 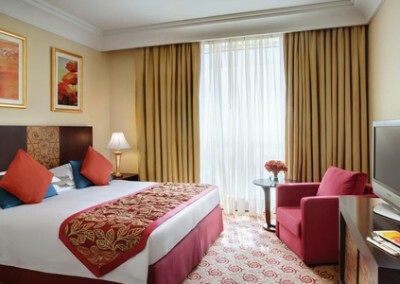 The Mövenpick Hotel & Residences Hajar Tower Makkah, on 41 storeys, comprises elegantly appointed rooms, suites. 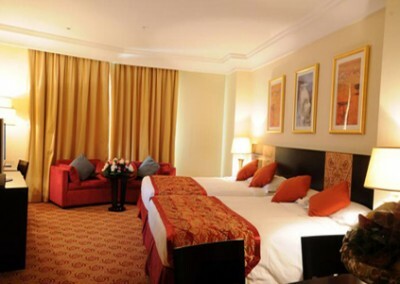 The rooms are specifically designed for guests performing hajj “pilgrimage” and umra as well as for businessmen. Experience an enjoyable stay and an uncompromising quality of service.The hotel offers a view overlooking the Haram and Kaaba’a. 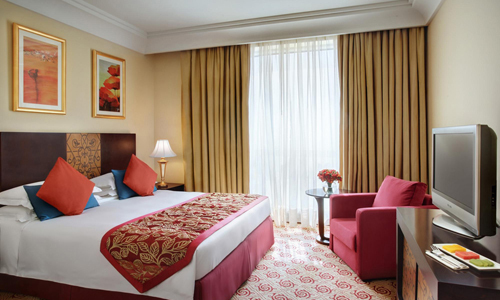 It comprises 1,200 elegantly appointed rooms and suites. The hotel occupies the first 10 storeys and totals 403 quality rooms and suites. 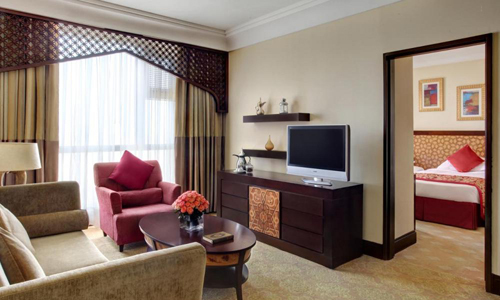 These include 17 junior suites and 4 royal suites. The Residence Hajar occupies the upper 21 storeys with a total of 797 rooms offering single, double and triple bedrooms. All rooms and suites feature wired internet, LCD television, tea and coffee machines, 24-hour concierge as well as in-room dining service.Car rental service is also available for our guests and valet parking for your convenience. 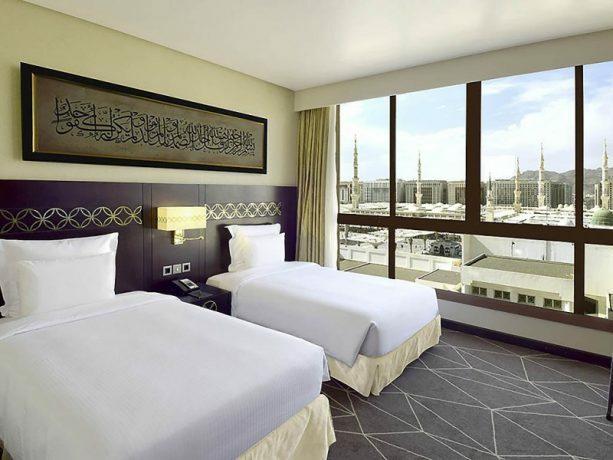 The Pullman Zamzam Hotel, is conveniently located south of the Holy Mosque, just a few minutes from the Al Rawda Al Sharifa and Al Baqie areas. 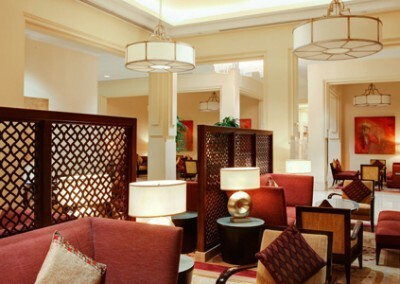 The hotel offers a unique combination of quality dining and spacious meeting area in a relaxed atmosphere. A variety of dining choices await you: Al Arabi offers authentic Arabian cuisine and Shiraz serves traditional Persian cuisine. Al Salam Restaurant offers an international buffet. 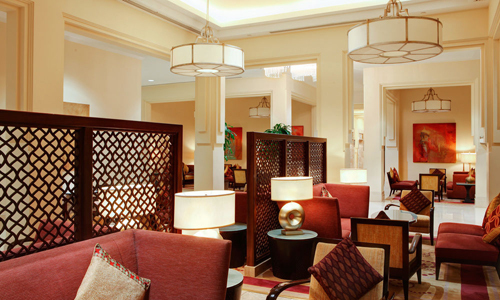 Delicious Mövenpick Premium Ice Creams, snacks, cakes and coffee can be enjoyed at Rotana Café. 24-hour room service is also available. The hotel achieved 2013 TripAdvisor Certificate of Excellence. Only the top-performing 10 percent of business listed on TripAdvisor receive this prestigious award. 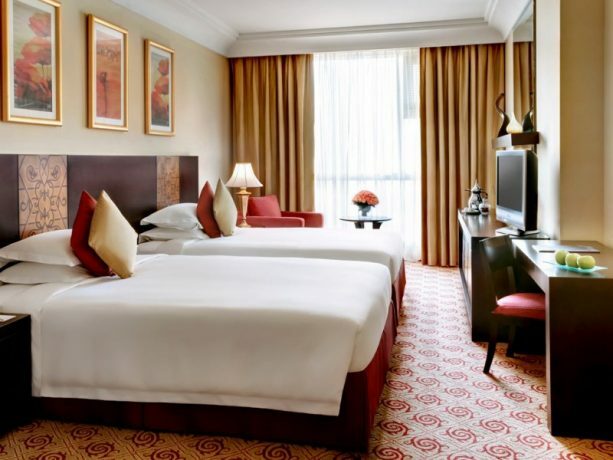 The Madinah Mövenpick Hotel offers 206 luxurious rooms consisting of 104 Deluxe twin-bed rooms, 40 Superior king-bed rooms, 14 Ambassador Suites, 40 Executive rooms, 7 Family Suites and 1 Royal Suite. All rooms have prayer mats and a copy of the Holy Quran. Individually controlled air-conditioning, safe, mini fridge, free highspeed internet access, TV with satellite channels, telephone and hairdryer in the bathrooms, IDD telephones with voicemail and a 220-volt power supply are provided to maximize your comfort during your stay. Free public wireless LAN is available in our lobby and Rotana Café. The banquet rooms and business center offer free internet facilities. 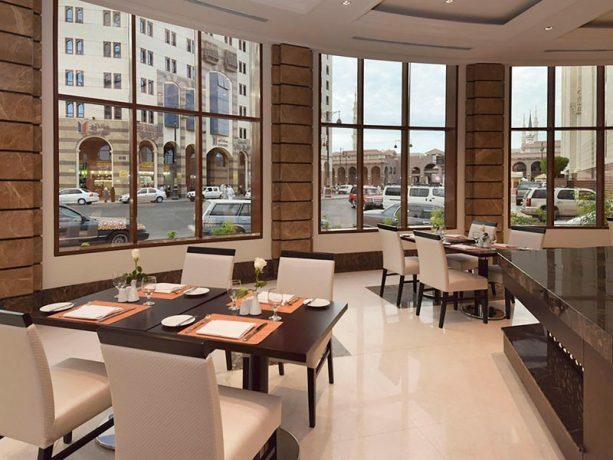 A variety of dining choices await you: Al Arabi offers authentic Arabic cuisine, Sheraz serves traditional Persian cuisine, and Al Salam Restaurant has an international buffet. 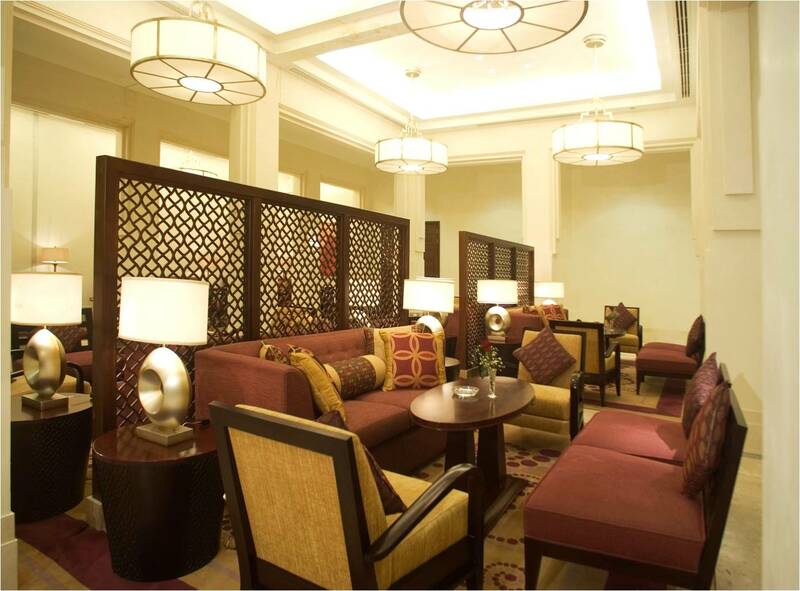 Delicious Mövenpick Premium Ice Creams, snacks, cakes and coffee can be enjoyed at the Rotana Café. 24-hour room service is also available.